We have been in business for the last 10 years, proudly serving the Ottawa community. Our unparalleled service, competitive prices, and overall value are why our customers keep returning. John The Plumber is here to provide fast and expedient solutions to all your plumbing problems. Our fully licensed and insured plumbers are committed to the John The Plumber mission of providing each and every customer with quality plumbing products, expert workmanship and service that goes over and above what is required. 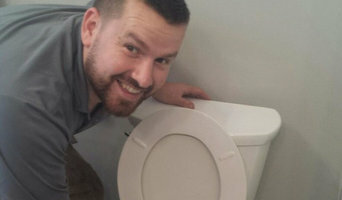 This ability to go over and above the call of duty, this commitment to exceptional customer service, is what has made John The Plumber Ottawa's premier plumbing company. Each and every day, more and more people choose John The Plumber for our exceptional attention to detail, glowing customer service and affordable pricing; so much so that we have made it our underlying mission statement... "Quality service at affordable prices." Our pledge is to establish a long-lasting relationship with you. Every member of our team will strive to exceed your expectations and gain your trust by providing the highest level of professionalism, honesty and fairness with our suppliers, contractors, professional associates and customers. Valente Plumbing is an Ottawa based plumbing company offering superior customer service in custom homes and renovations, service and installation of high-end fixtures, commercial, residential, and industrial service, new-build construction, and much more! We've built our company on a foundation of honesty, integrity, and pride in our work. Our entire staff of trained professionals shares the same vision of quality that Valente Plumbing represents, and that our reputation proves. We are committed to excellence and bringing exceptional workmanship to the plumbing trade. 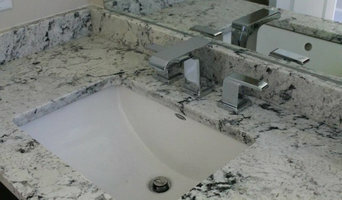 Contact us for a free estimate - it would be a pleasure to work with you on your next plumbing project! Penta Plumbing Ltd. is an independent plumbing company based in the city of Ottawa that provides solutions for all of your plumbing needs. Licensed and insured, Andrew Della Penta (owner) is professional, reliable and competent in all aspects of the work he performs. Andrew believes in honesty and quality and will find a solution that meets your needs. We love plumbing. It may sound crazy, but clean water and proper sanitation are essential to your health and happiness. That’s why DS Plumbing takes your plumbing seriously, and takes the time to do it the way it should be done – so it lasts. We can handle anything related to your home’s plumbing, from leaky faucets to fixture installations to complete kitchen and bathroom plumbing renovations. 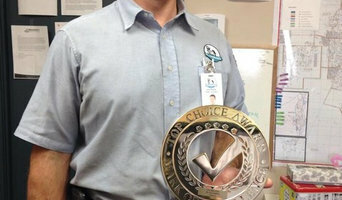 Our plumbing services are award-winning and Better Business Bureau-accredited. Best of all, our customers agree that we deliver on our promises. Repairs - Installation - Renovations Licensed for over 25 years. Happily providing plumbing service for Orleans and surrounding area. Email or call for free estimate Discount for Seniors Discount for current and past members of the Canadian Armed Forces. Dr. Pipe Drain and Plumbing Services are licensed plumbers, providing a a wide variety of plumbing services. Dr. 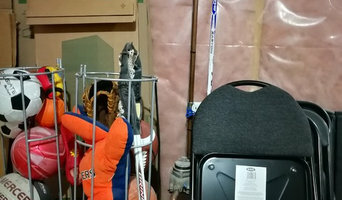 Pipe proposes different kinds of services from plumbing repairs to trenchless drain replacement in Ottawa (also in Hamilton and Toronto and GTA). Our plumbing services include: clogged toilets and sinks, drain cleaning, new installation, drain line repair, sewer/drain replacement, water pressure repair and many other services. "The highest level of customer service." Ottawa Plumbing has been serving commercial businesses and the residents of Ottawa and surrounding areas for the last 15 years. We take great pride in the level of service that we offer as well as our money back guarantee. We believe it's important to fully inform the customer before starting any work therefore we always explain the work that needs to be done and the options that the customer has. This often includes options for different budget levels. We do offer no obligation quotes and so we encourage you to call us for any and all of your plumbing needs. Pennex Backflow Prevention Is a Plumbing Company with a Master Plumber and 1 Plumber. Both are Certified Backflow Prevention experts with over 40 years experience . We have Customers in every City and major Town in the Province of Ontario, and Test and Certify over 600 Devices or Assemblys per year. William James Pennock C.P.S.I.. Company founder and CEO, has been in the plumbing industry since 1957 as an apprentice and obtained his Plumbing Certificate in 1961. Employed by several major contractors..Ottawa Plumbing, Crump, Comstock, Rideau Plumbing, H.G.Francis Clarke Mechanical, and as a City of Ottawa Plumbing Inspector for approx 10 years achieved the Certified Plumbing Systems Inspector status from the Ontario Plumbing Inspectors Association. Bill is the President of the Ontario Backflow Prevention Association. Bill decided there was a need for Backflow Prevention Testing and Information. He opened for business July 1, 1991, as Pennex Backflow Prevention, incorporated as 1663558 Ontario Ltd O/A Pennex Backflow Prevention in 2004. When you hire Safari Plumbing, we want you to be more than pleased with our work. We want you to be absolutely delighted! That’s why every job comes with our 100% no-risk, peace-of-mind guarantee. If you’re not satisfied, you don’t pay until you are. All of the plumbers at Safari are highly experienced professionals (some have more than 30 years of experience). All of our plumbers learned their trade by apprenticing with a master plumber. So, when we arrive at your home to fix a plumbing problem that’s threatening your family’s comfort and safety, you can trust that a truly skilled craftsman is there to help. You’ll be given a fair, up-front price—before we start any work—so you’ll know exactly what you’ll get, and what the cost will be. No surprises. Whatever your plumbing needs, you can trust the friendly, experienced professionals at Safari Plumbing. Pipes Plumbing is locally owned and operated. We are a small team of hard working and extremely dedicated plumbers. We play hockey, cheer for the Sens and shop at the Carp farmers market on the weekends. We pride ourselves on delivering superior service to all of our customers. With amazing growth since opening, Pipes Plumbing Inc. has proven to be a valuable partner for local Ottawa builders, both commercial and residential. Aries Plumbing & Heating Ltd has been providing commercial, industrial and residential plumbing and mechanical services to Ottawa and the surrounding area since 2006. Headed by founder and President Ken Stanley, Ottawa local, our team is committed to delivering unsurpassed value and service. Integrity, honesty and optimal performance are the cornerstones of our business. These core values are held in the highest regard and are implemented in every project that we undertake whether big or small. At Yves Plumbing, we believe that providing fast, reliable and efficient plumbing services to our patrons is the secret of our success. Our clients have been entrusting their plumbing projects since 2007 because of our work ethic and upfront and friendly approach. Exceeding your expectations is our motto. There’s more to A plumber installs, maintains and repairs water, sewage and natural gas pipes throughout a home, as well as interior and exterior faucets and fixtures such as toilets. They are trained to work with water mains, septic tanks, laundry appliances, water heaters, sump pumps and other plumbing and pipe systems. They can advise you on renewable energy options, and install rainwater tanks, pressure boosting pumps, solar hot water systems and more. With a lot of plumbing work done behind walls and underneath floors, some Ottawa, ON plumbers will also repair or replace tile, stonework or other surfaces, if need be. You’ll find most Ottawa, ON plumbers provide a variety of services, including maintenance and construction, covering gas, solar and electric. However, some will have areas of expertise. A 24-hour plumber, for instance, will be well versed in residential emergencies and repairs, while others may be more experienced in renovations and new homes, or the installation of septic systems, rainwater tanks, pumps and other special water and drainage systems. 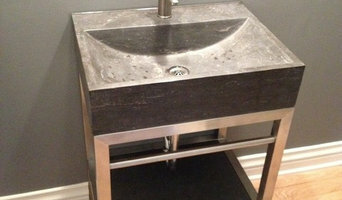 Find Ottawa, ON plumbers on Houzz. A leaking toilet or blocked drain can do more than just water damage, so never wait too long to call a local plumber. Start your search on Houzz by browsing the Professionals section of the site. If you're undergoing a renovation or home construction, you may also look through Photos to find local plumbers who have worked on projects similar to yours. If you’re planning a large-scale project, find other professionals on Houzz who can help get the job done. Here are some related professionals and vendors to complement the work of plumbers: Building Project Managers, Septic Tanks & Sewage Systems, Kitchen & Bathroom Designers, Kitchen & Bath Renovators.